SDS-ONE APEX3 is an all-in-one design system that connects various stages in the textile supply chain. With years of experience and know-how in fashion technology, APEX3 provides powerful support for the manufacturing of textile products. Enhance your staf planning capability by linking with APEX3. SDS-ONE APEX3 is an apparel design system developed as a compilation of SHIMA SEIKI’s computer graphics (CG) technology. An “all-in-one” 3D design system, APEX3 supports all stages of manufacturing from planning and design, to production and sales, in a wide range of industries including flat knitting, weaving, printing, circular knitting, and pile weaving. Using APEX3's powerful graphics functions, contents downloaded from staf can be edited and processed into refined images. You can combine flat sketches with patterns, and create design variations and colorways with ease. High-quality simulations can be created from product photos while maintaining original material texture for realistic presentations, and can be shared between the planning side and production side for improved communication. Virtual samples can be used to minimize costly and time-consuming sample making as well. Data downloaded from staf can be used to create and edit stripe sequence, weave structure and colorway using APEX3. 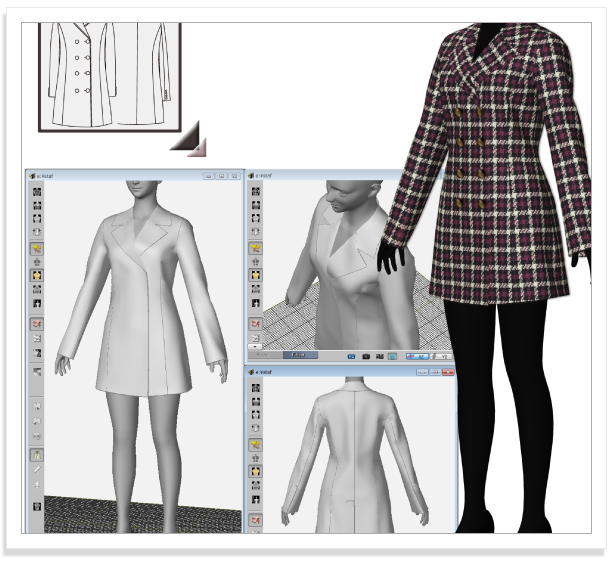 Data can be converted to high-resolution textile simulation images and super realistic weave simulations to output for instruction sheets. 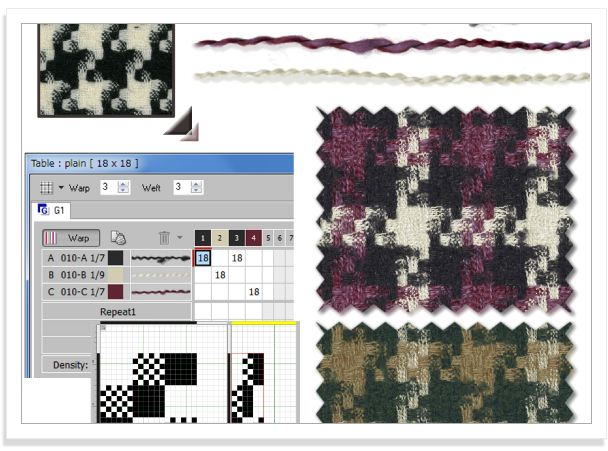 You can output textile planning paper based on design data. You can download pattern data for the flat sketch design selected from staf. APEX3 allows you to confirm details and edit patterns. This data can be used as reference data for the initial pattern of sample making. You can download 3D data for the flat sketch design selected in staf. 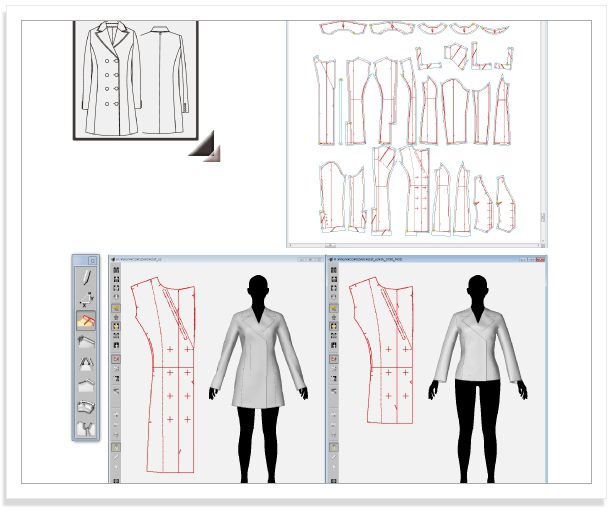 APEX3 allows you to check the silhouette and details from various angles and composite fabric images to confirm the design of product samples beforehand. You can also download knitting pattern data for the knit fabric selected in staf. You can use APEX3 to lay out and repeat patterns, and edit colorways. Edited data can be converted to super realistic knit simulations. 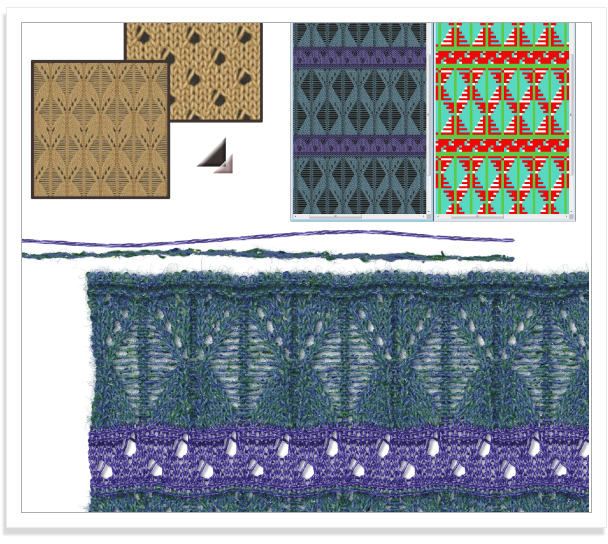 Design and knit software on APEX3 support design work and programing of structure and jacquard design. If you have any questions, use the button below to go to the Shima Seiki site and then to General Questions or Comments where you can post your queries.